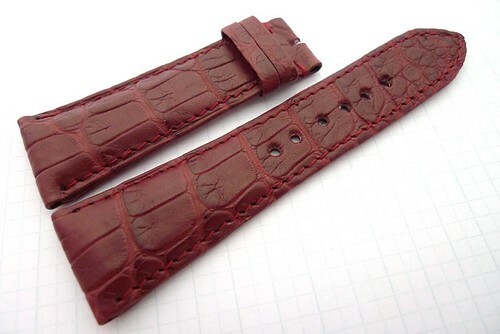 Handmade Genuine Grade A US Alligator Skin Straps. 1. Black. Width: 25/20mm. Length: 115/75mm. Folded Edges. Perfect Patterns. Price: USD179 Paypal and Delivered. 2. Honey Tan. 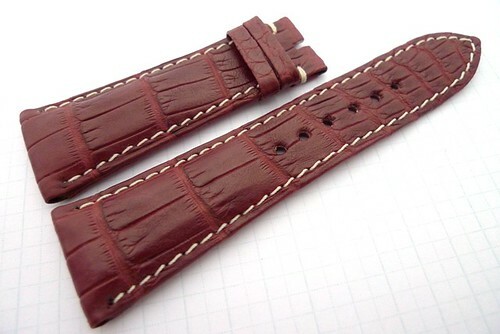 Width: 25/20mm. Length: 115/75mm. Folded Edges. Perfect Patterns. Price: USD179 Paypal and Delivered. 3. Burgundy. Width: 25/20mm. Length: 115/75mm. Folded Edges. Perfect Patterns. Price: USD179 Paypal and Delivered. 4. Maroon. 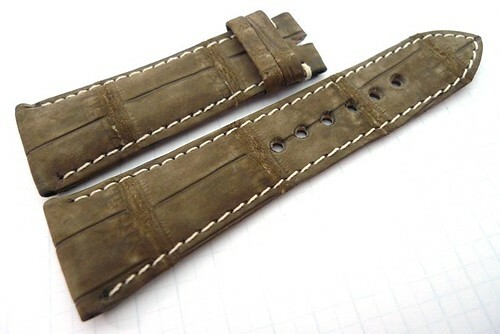 Width: 25/20mm. Length: 115/75mm. Folded Edges. Perfect Patterns. Price: USD179 Paypal and Delivered. 5. Maroon with Ivory Stitches. Width: 25/20mm. Length: 115/75mm. Folded Edges. Perfect Patterns. Price: USD179 Paypal and Delivered. 6. Charcoal Black Nubuck. Width: 25/20mm. Length: 115/75mm. Folded Edges. Perfect Patterns. Price: USD179 Paypal and Delivered. 7. Godiva Brown Nubuck with Ivory Stitches. 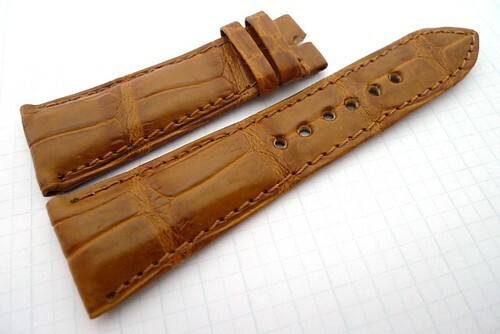 Width: 25/20mm. Length: 115/75mm. Folded Edges. Perfect Patterns. Price: USD179 Paypal and Delivered.